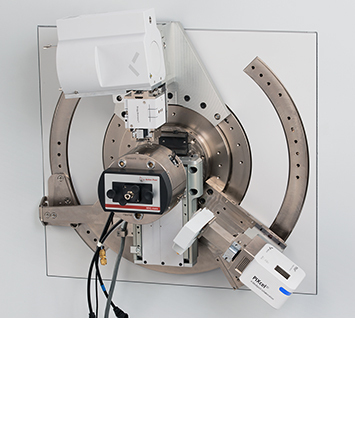 At Particle Analytical we have purchased yet another XRD instrument!!! An Empyrean, which is a “multipurpose diffractometer” from PANalytical: It contains a climate chamber, allowing for changing the temperature and humidity during measurements. Such experiments are very valuable when examining the crystalline stability of a drug product: Any risks of crystalline transformation at a given humidity or temperature should be known in order to avoid unpleasant surprises. If you have a product that would be interesting to study with regard changes in environmental conditions, do not hesitate to contact us. Computed tomography (CT) is a non-destructive technique for visualizing internal features within solid objects. For instance, it enables the examination of the structure of an object and provides information such as size, shape and location of any internal feature or defect. Using 2D scans compared to a conventional one-dimensional diffraction system has many advantages in various applications, of which only a few is summarized here: The integrated data gives better intensity for phase ID and quantitative analysis, especially for samples with large grain size, or small sample quantity. The percent crystallinity can be measured faster and more accurately with the data analysis over the 2D pattern, especially for samples with anisotropic distribution of crystalline orientation. Please use the contact form if you want to know more about the possibilities – or for requesting a quote on analysis.